It may not be football season yet, but there are big changes in the works for the NFL. The annual NFL owner’s meeting in Arizona provided news about possible rule changes and team relocations. Since any changes big or small can have an impact on the outcome of your fantasy football game, the following are worth taking into consideration. Any new rules implemented for the 2015 season will have to take this into consideration for your fantasy football draft. Just as the coaches in the league will have to beef up their lines or develop good passing plays to convert the points, you will have to draft accordingly to maximize your scoring potential. A vote for a new stadium plan for Los Angeles could happen by the end of the year. Does this mean NFL football in LA by 2016? Unlikely, since it would not be possible to build a stadium in that short a time-span. A temporary facility would have to be used if a team, or teams, moved to the City of Angels for the 2016 season. The prospective teams include the St. Louis Rams, the San Diego Chargers, and the Oakland Raiders. Moving two teams to LA at once would create the best financial situation. It also makes sense from a fan-base situation so that one team is not dominant over the other because of how long they have been in the market. The league does not want a repeat of the Jets-Giants situation in New York. Moving can be a huge stress on a team and individual players, some may not handle it very well. Keep an eye out for weak spots and players who may crack under the pressure. This year marks the first ever National Fantasy Football Convention. Headlining the event is Dallas Cowboy quarterback Tony Romo. More than 100 other NFL players will also be in attendance. The convention will be on July 10-12 in Las Vegas. Parties and skills competitions are part of the planned events. This will be the fans’ chance to rub elbows with many NFL greats and get their favorite players’ insights into this year’s fantasy draft. An attendee to this event would have a definite advantage to other fantasy football GMs for the upcoming season. You can use the information gathered from news sources and the convention to aid you in your fantasy game. Choose either a season-long commitment to a league or a one-day league online. Some fantasy football sites will give you perks for signing up and making your first deposit. 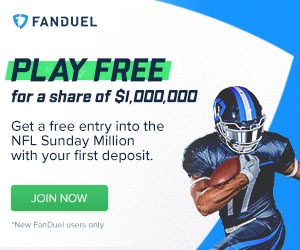 For instance, you can use the best FanDuel promo code to double your initial deposit up to $200. Be sure to use our Fanduel optimal lineup tool to help you build winning daily lineups. There are many changes heading to the NFL going into this season with long-term consequences. Be prepared for your fantasy draft by staying up on the news, then get ready for a winning season by putting that information to work for you.